Heat oil in a pan, fry cashew ,onion and tomatoes and let it cool down. Once cooled blend it in a blender with ginger garlic paste as a fine paste. Heat oil in a pan add cumin seeds , once splutter add grounded paste , turmeric powder,chilli powder, coriander powder and salt. Cook it until spices get done. 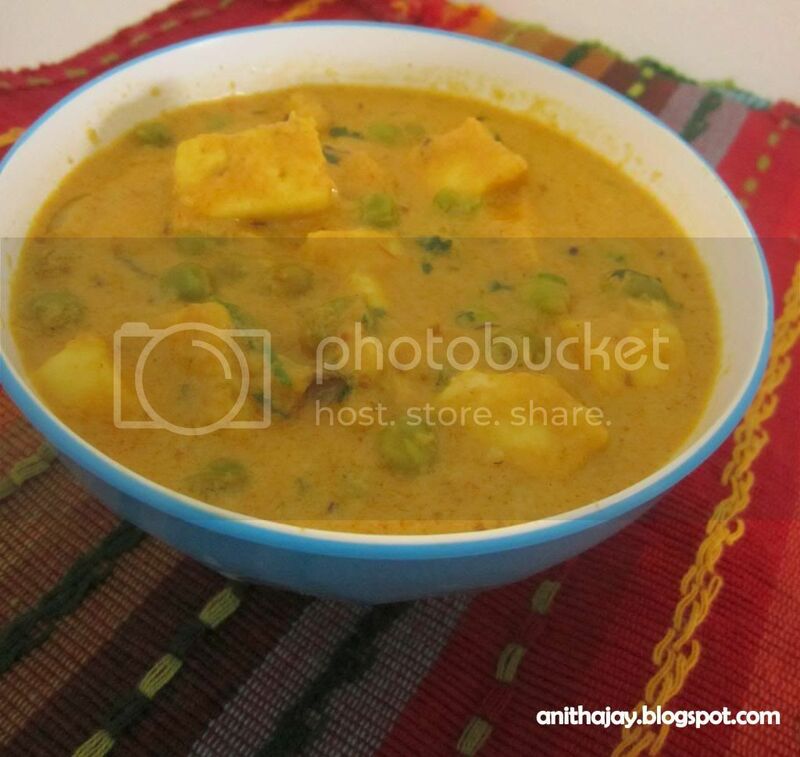 Add green peas ,water and bring it to boil.Add Paneer, reduce heat to low and cook for some more minutes.